Railpictures.ca - Dave Burroughs Photo: The way it used to be! The double track is the old CASO Sub where NYC and C&O trains crossed the CN Hagersville Sub. The interlocking tower and station stand in this 1968 view. The tower has been long gone but the station was recently demolished as it was deemed structurally unsafe. | Railpictures.ca – Canadian Railway Photography – photographie ferroviaire Canadienne. Caption: The way it used to be! The double track is the old CASO Sub where NYC and C&O trains crossed the CN Hagersville Sub. 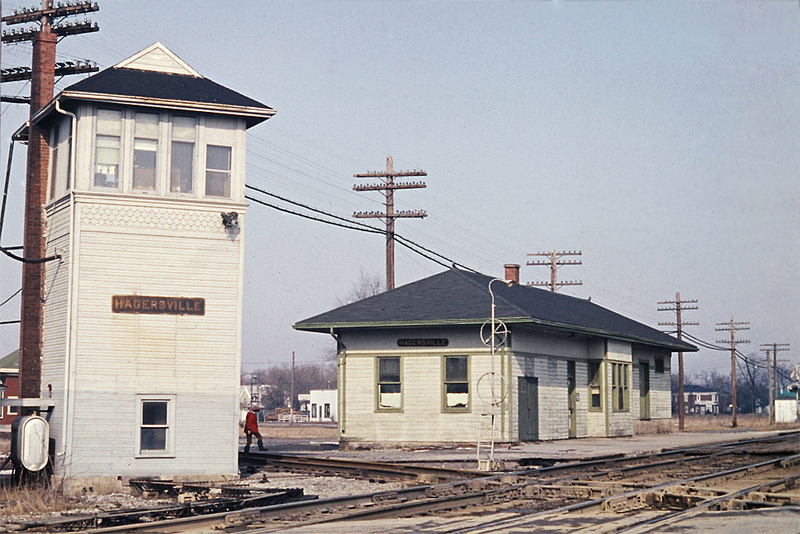 The interlocking tower and station stand in this 1968 view. The tower has been long gone but the station was recently demolished as it was deemed structurally unsafe.